cousins of The Dirty Three, before meeting this American girl in 2004 coaxed them back into the limelight. “We were playing a gig in London,” recalls bassist Fin Wilson. “I thought I met her in a psychiatric hospital,” ponders guitarist Martin Metcalfe. “That was it,” recalls Derek Kelly, drummer. “Aye it was, because you thought having a therapist in the band might be a useful thing in the future.” However it happened, Stacey Chavis from Portland, Oregon, became Isa with The Filthy Tongues. 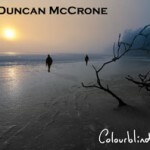 Having in-house therapy on call must have seemed like a good idea after the trio’s experiences as the heart and lungs of Goodbye Mr Mackenzie, a band who ricocheted round record labels narrowly missing a high score in Europe, before evolving into Angelfish. That pushed backing singer Shirley Manson to the fore, and the new group made a dent in the U.S. college and independent charts. Butch Vig came a calling for a singer to front his new band Garbage just when constant American touring was threatening to gut Angelfish anyway. “If Shirley had been that good a singer in the beginning then I would never have become the front man, and just stayed playing guitar,” insists Metcalfe. Stacey has spent a lifetime being asked to join various bands, but always said no, because the confidence just was not there.  But on hearing The Filthy Tongues, she said yeah, as one of their songs would have it. Demos win competitions on Radio 1 for weeks on end, and commercial radio also wants in on the act. Isa and The Filthy Tongues complete work on a debut album – Addiction – and sign to Circular Records. It will be preceded by a single, I’ll Do What I Want, before being released on May 1, 2006. A show in Edinburgh on the penultimate day of 2005 announces the band is open for business, trading surf punk guitar licks and a raw analogue attitude. 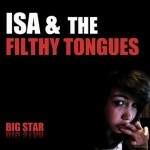 Isa And The Filthy Tongues pack a big dirty kiss.